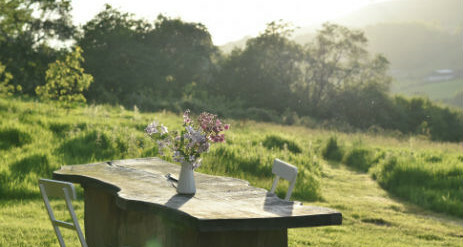 Wild Meadow in Wales, on the Herefordshire Powys Border is the most perfect escape to unwind and relax. 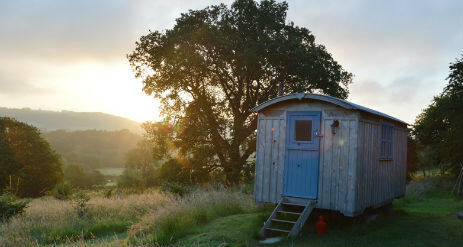 The hut is nestled in three and half acres of meadows and orchards with stunning views across the valley. The area is filled with attractions and market towns to explore. 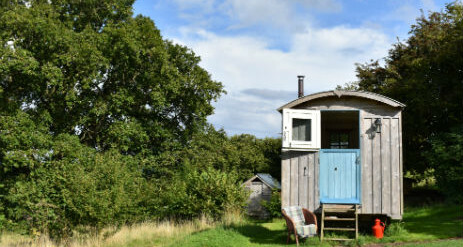 Wild Meadow features acres of space with views across the valley with a network of footpaths radiating from the front door, outdoor nature activities for children, buckets and nets for pond dipping and bike hire. We have dark night skies for stargazers, wildlife walks and we live a mile down the road and are on hand for any help and advice. 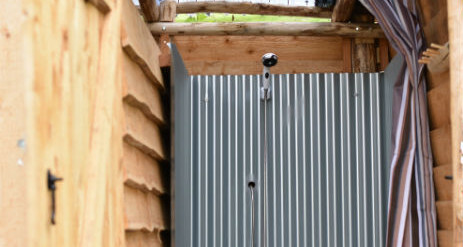 Our hut comfortably sleeps two adults and has an undercover outdoor kitchen that overlooks the valley. Feel free to use the kitchen garden to harvest vegetables, fruit and flowers. This area of Wales is a real foodie heaven with many local farmers markets and fabulous places to eat. 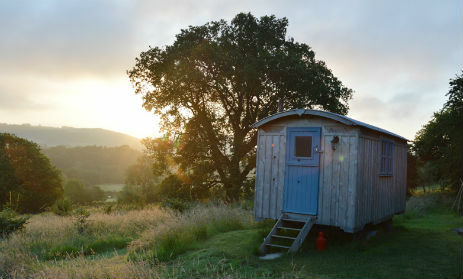 The hut is at the top of the meadow, giving you far reaching views across the beautiful valley. Inside, the hut has electricity, lights and a double deluxe mattress for a great night’s sleep. 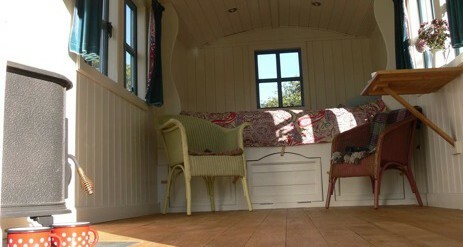 It also has a wood burning stove and good insulation for all year round cosiness. When cooking take a stroll down to the kitchen garden or wander through the orchard to gather some fresh ingredients. 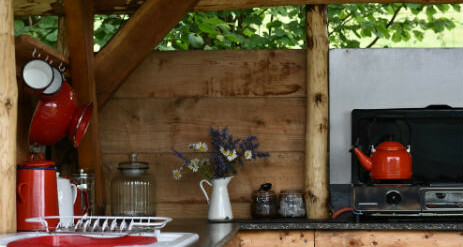 Create your dishes in the outdoor kitchen using the gas hob and grill or perhaps cook around the fire, trying out the kotlich or griddle. Along with a wonderful biking and walking terrain, Presteigne has a nature reserve and riverside walk, a leisure centre, swimming pool, tennis courts and playground. There’s the farmers market every month on every first Saturday and some fantastic food and drink shopping. There is also the Workhouse Gallery and Sidney Nolan Trust and The Judges Lodgings, our award winning museum. Complimentary ingredients for your first mornings cooked breakfast is supplied. Dogs welcome. Please make contact before booking if you are looking to bring more than one pet.